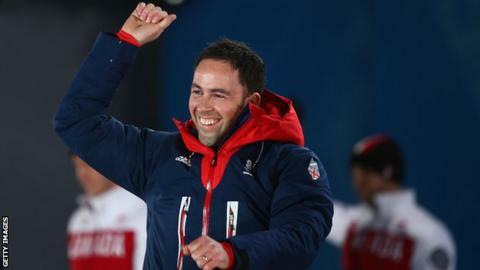 Olympic medallist David Murdoch is retiring from competition to take up a coaching role at British Curling. The 39-year-old skipped Great Britain to silver at Sochi 2014 and was disappointed to be overlooked for next year's Winter Games in South Korea. Murdoch is a two-time world champion with Scotland and won three European titles. "After the announcement regarding Pyeongchang I had to think about what would come next," he said. "I had always wanted to pursue my coaching and management ambitions and now I feel ready for that." Murdoch, a veteran of three Olympics, will begin his new position as a technical and tactical consultant next month. "I have had to re-adjust, as my goal was to get to the next Olympics and I really had to decide if it was the end or not," he added. "I am not sure if things had been different if I would have known when the right time was to stop. It would have been hard to walk away but I have been thinking about alternative options for some time and you have to eventually make the decision to start getting those plans under way. "It was a tough decision but at the same time I am incredibly grateful for what I have achieved in the sport, the opportunities it has given me and the titles I have won." Murdoch and long-standing team-mate Euan Byers were the first full-time curlers in the UK and the world junior champion from 1995 and 1996 picked up his first major title in 2003 with European gold. He bows out of the sport with six World Championships medals and six at European level. The Olympic silver followed a fourth place finish in 2006 and coming fifth in 2010. "That Olympic medal was for every team member I have ever played with, from the early years right up to when I was the oldest member of my team," said Murdoch. "That success only happens when every member of the team and support team pulls together and has the same level of dedication to be better, be stronger and improve in any way possible."